There are mixed emotions for a Highlander honoured today for her tireless work for people with learning disabilities – just days after losing her husband to cancer. 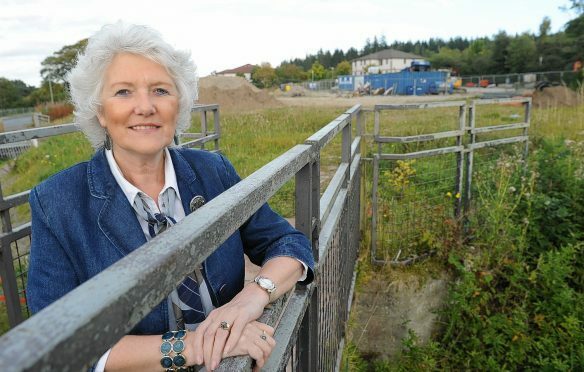 Elsie Normington, a long serving development officer at Merkinch Community Centre in Inverness, receives a BEM in the Queen’s New Year honours list. She has spoken of her joy at the recognition and of her sadness at the loss of her 66-year-old husband George on December 18. He had fought cancer for almost five years. Mrs Normington said: “I feel absolutely honoured that the community would nominate me for this award. “I am passionate about community development and social change. I feel so many people do so many good things in society, I just feel so honoured that people feel the need to validate this. “It’s an interesting time in my life. My husband has just passed and now I’m getting this award. I’m really, really thankful that I’ve had 43 years of marriage with my beloved George. Mrs Normington, 64, has been central to community development in Inverness since 1995, when she switched from a career as a private piano teacher to work supporting children with learning disabilities. In 1995, she founded an initiative for youngsters called “Snap” – the Special Needs Action Project – which continues to function. She resumed her musical talents in 2002, playing with a “Singing for Pleasure” community group at the centre which later blossomed into a full blown choir. A 50-strong adult group with learning disabilities called “The Rainbow Singers” followed in 2009. Mrs Normington also established a charity called “Women Influencing Change”, and she inspired the formation of the “Friends of the Therapy Suite” charity to help disadvantaged women. She helped create the “Reach4Reality” charity which supports teenagers with autism. Much of her current focus is the Elsie Normington Foundation, established in 2013, which is fundraising to build a specialist centre in Inverness that will feature a respite wing, community coffee shop and supported housing for children and young adults with learning disabilities.